The key to any surface coating is good and thorough preparation. 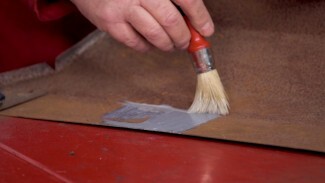 There are various stages of preparing the surface of a car for rust prevention, focusing on the various different forms of surface contamination with both chemical and mechanical preparation techniques being explained in this class. Safety is key here too, and Ian shows you how to keep safe while undertaking the task. In How to Get Rid of Rust, you’ll learn how to prevent and treat rust on your car. 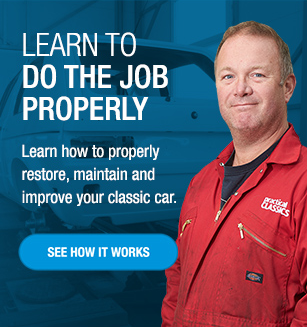 Our expert guide, Ian Allen, will take you through the various stages to ensure a rust-free car and worry-free motoring for years to come. A small investment now could save you the cost of complete restoration further down the line. Ascertaining which are high and low spots of a damaged area on a panel is the starting point for any body repair. A body file enables you to see where these are to enable you to carry out the repair. For more helpful tips from Skill Shack, check out our Simple Body Repairs course. Discover the different forms of welding and assess which is most appropriate for your car’s new wheel arch. 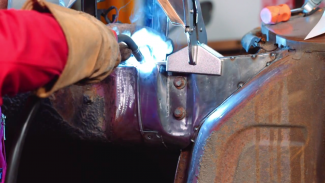 Michael Coman discusses the pros and cons of each weld type, and teaches you how to install and weld a factory wheel arch in place of an old rusted component. Taking care of a rotten part on your car can be challenging, but fixing the problem before it spreads is highly important for the overall integrity of the body. 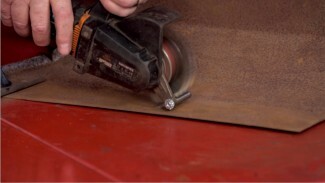 Michael Coman helps you through the often difficult process of removing a corroded section from a car’s frame and welding a simple patch to fill the gap and restore the strength of your vehicle. 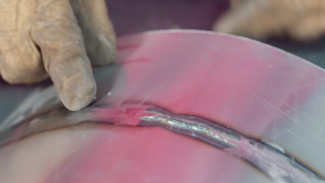 Michael Coman demonstrates the proper technique for achieving a sleek, even finish on a weld. You’ll learn about necessary safety equipment and the correct protocol for using various grinding and sanding tools to carefully wear down the weld until it is flush with the surfaces of your newly joined pieces.